CHÂTEL. Located in a new luxury residence in the immediate vicinity of the ski slopes, this apartment has 145,30 sq. m.
It consists on the 1st floor of a large living room with fireplace and open kitchen of 49,93 sq. m.
The sleeping area has 3 bedrooms, one with its bathroom and private dressing room and a bathroom and an additional bathroom. A cellar, a double garage and a ski room complete this property. 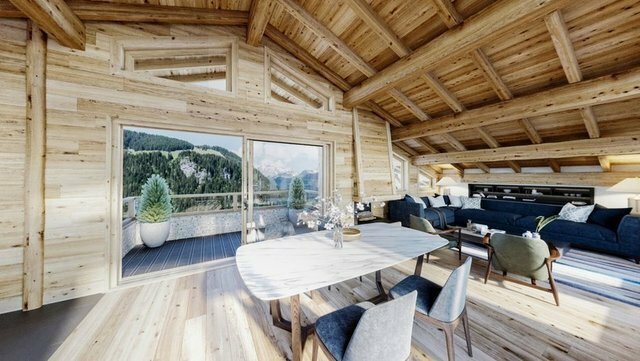 With an exceptional view of the mountains, this small residence with 4 apartments is ideally located in the heart of the Portes du Soleil ski area.